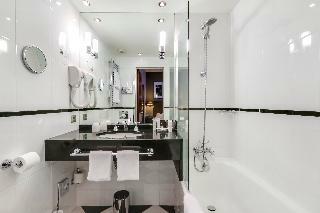 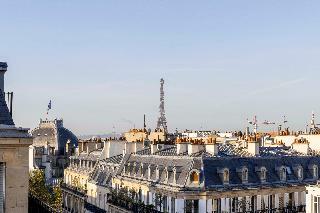 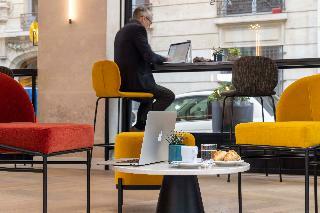 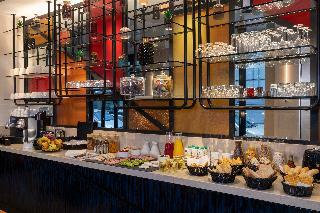 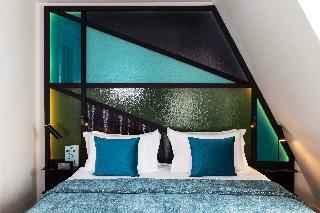 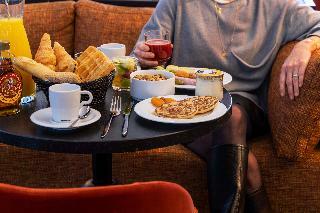 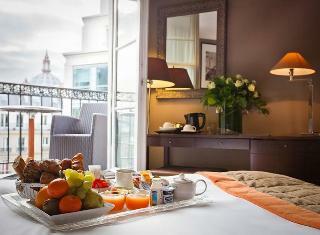 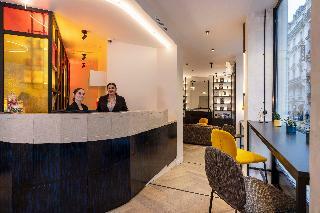 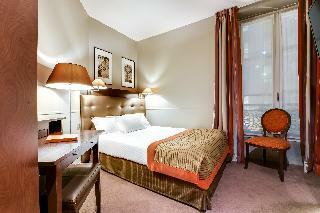 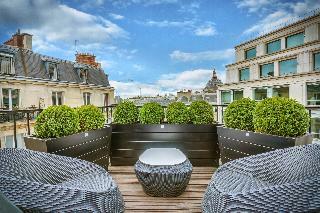 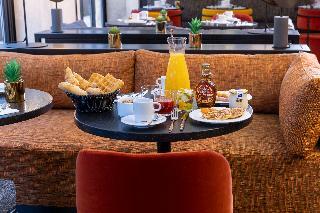 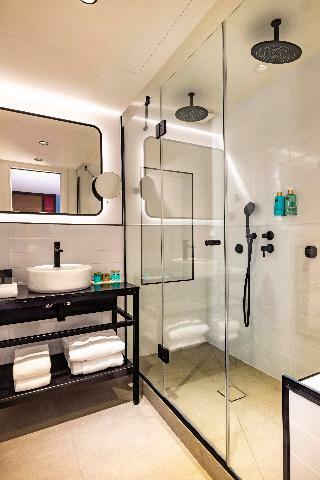 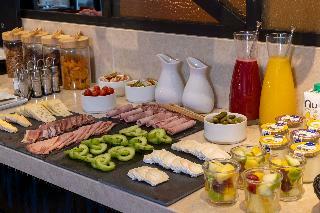 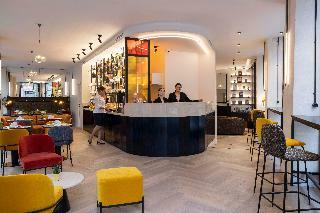 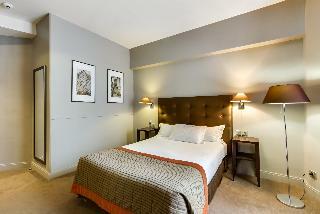 This chic, designer hotel is located on a peaceful street in the 8th arrondissement of Paris. 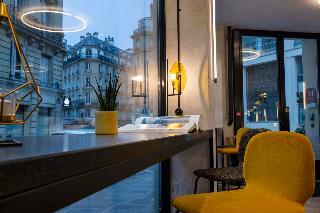 It is situated in the centre of the business area, yet conveniently near to the Champs -Élysées, Opéra Garnier and a few well known department stores. 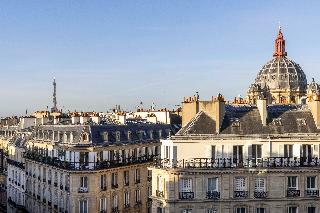 One of these shopping centres is just a short walk away from Gare Saint –Lazare, as is Le Louvre museum and the Arc de Triomphe. 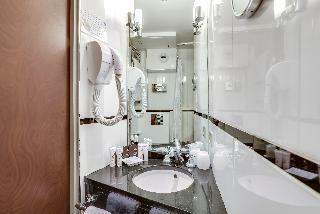 This fully air-conditioned hotel with its concierge desk, offers Free Wi-Fi access throughout and access to a laundry service. 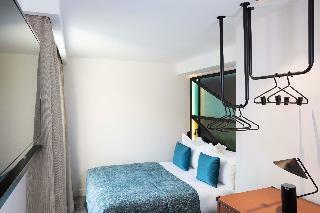 All guest rooms are sound-proofed and decorated in muted earthy hues with comfortable beds. 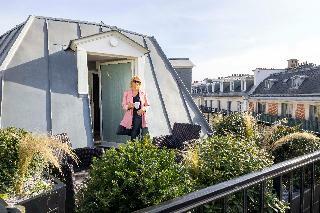 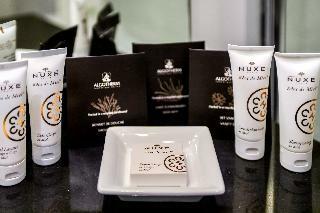 There are a variety of guest rooms some with a balcony and/ or views and some have a Nespresso machine. 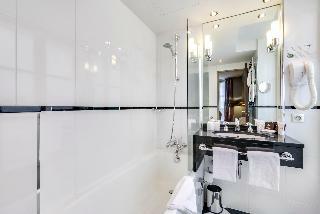 Every room provides a flat screen TV, mini bar, bath with Damana toiletries and towel driers, plus each room has a courtesy tray. 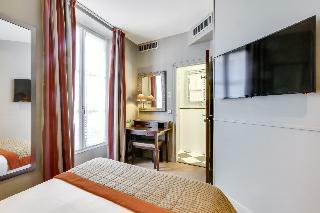 Guest rooms at this accommodation are non-smoking.